Ah September! 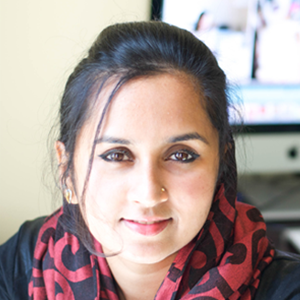 I love it because it’s my birthday month and because the weather will be cooler in Doha ( hopefully) . 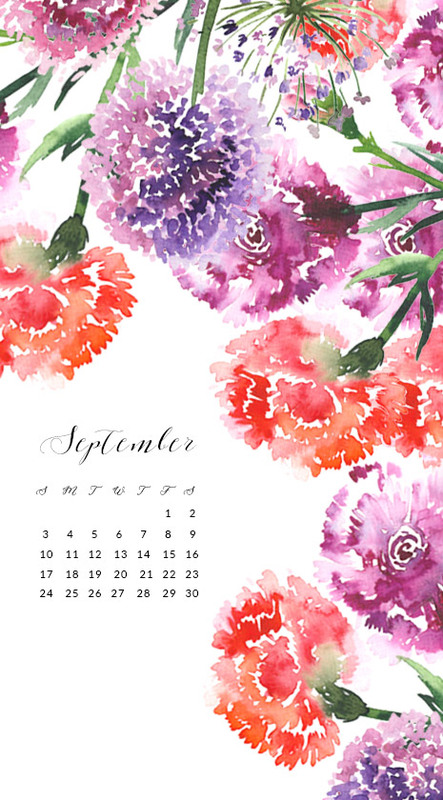 To make things bright, I have some beautiful carnations and alliums as this month’s wallpaper. So don’t wait anymore, hit the download button for free September watercolor wallpapers. How is it going to be September so fast? Didn’t we just say “Happy New Year” a couple of days back? Hah! Not that I’m complaining but it would be nice if the days went slower. Maybe a tad bit? I’m vacationing in lovely Kerala currently and have been enjoying my time with my parents. It’s been really pleasant with occasional rains and grey skies. I don’t think I want to face the blaze upon coming back to Doha. 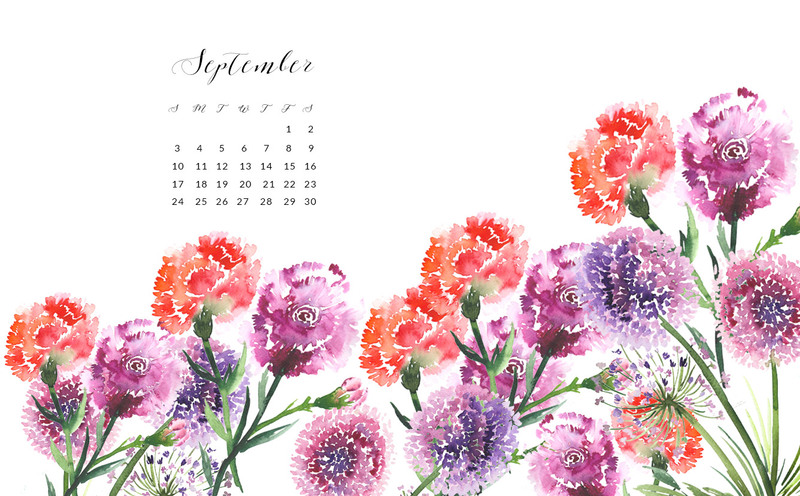 On another note, these September watercolor wallpapers are some beautiful carnations and alliums, all of which I learnt recently through a challenge over at Creative Bug.